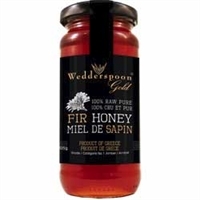 Raw Gold Fir Honey This rare Fir honey is sourced from cool, elevated forests of Central Greece. Product of Greece. Greek honey is the best! This rare Fir honey is sourced from cool, elevated forests of Central Greece. with crisp floral and toffee flavours.